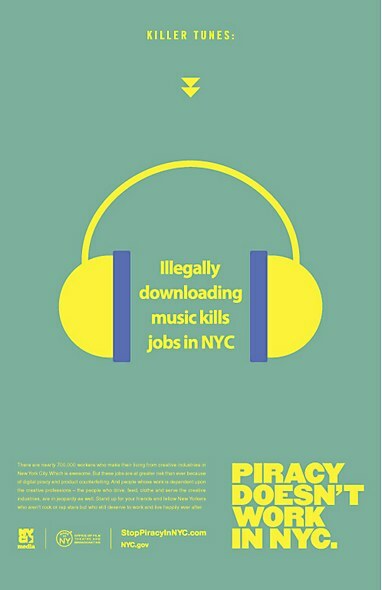 With piracy drastically impacting jobs, New York is fighting back with a new ad campaign by local ad agency Fathom Communications. 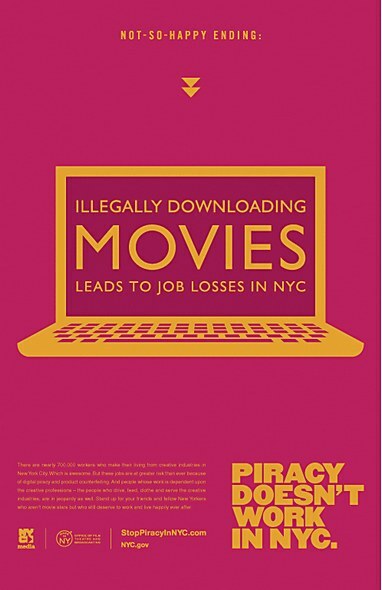 With the tagline “Piracy Doesn’t Work in NYC,” the campaign has taken to the streets, taxis, TVs and college campuses to get the word out to New Yorkers that digital piracy is not a victimless crime. 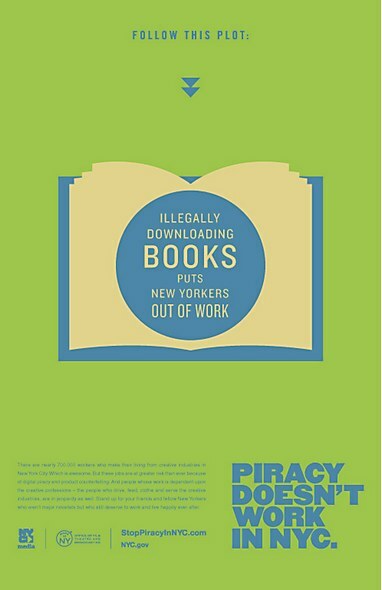 In fact, it’s impacting the guy next door. 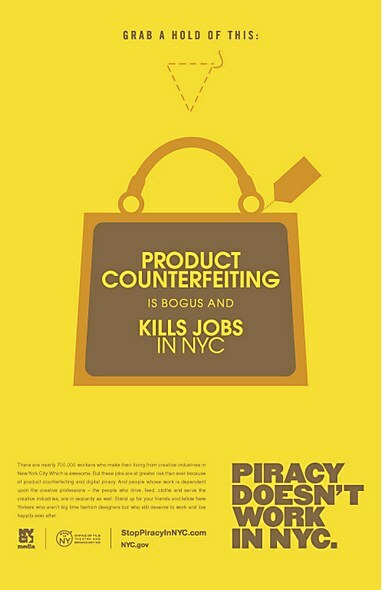 Campaign elements include outdoor ads and improvisation-style man-on-the-street TV spotssend people to the Web site to see whether real New Yorkers still want “free” bootlegs once they know they’re impacting the jobs of fellow New Yorkers. All media is available for download on the site. Kit Cramer, Fathom/Noah Ross, Fathom, creative directors; Shiloh Gray, Fathom, art director; Kit Cramer, Fathom, writer; Peter Sillen, Washington Square Films, director; Bob Richman, Washington Square Films, director of photography; Katie Stern, Washington Square Films, associate producer; Brett Fisher, Fathom/Alex R. Johnson, Washington Square Films/Alejandra Alarcon, Whitehouse, producers; Josh Blum, Washington Square Films/Anna Gerb, Washington Square Films, executive producers; Johnny Luisi, Whitehouse, editor; Dean Sarjent, Extreme Music, mixer; Glenn Navia, HSR, audio engineer (:30 spot); Alexis Sheehan/Moya Fry, account executives; NYC Office of Film, Theatre and Broadcasting, client.